Bani J and Sapna Bhavnani ‘kiss’ each other publicly, Sapna Bhanvavi had earlier disclosed of being a Bisexual!! Ex Bigg Boss Contestants Bani J and Sapna Bhavnani are controversial in their respective lives. Both have always turned heads with their controversial statements and comments. Recently both are back in the news and are back together. Celebrity VJ Bani J Sapna Bhavnani, Celebrity Hair Stylist were seen kissing each other on the beach of Mumbai. Bani J who is dating Television actor Yuvraj Thakur and Sapna Bhavnani who has opened about her sexuality on being a bisexual were spotted on the beaches of Mumbai spending time with each other. All of a sudden, they both were seen kissing each other and were getting intimate with each other. 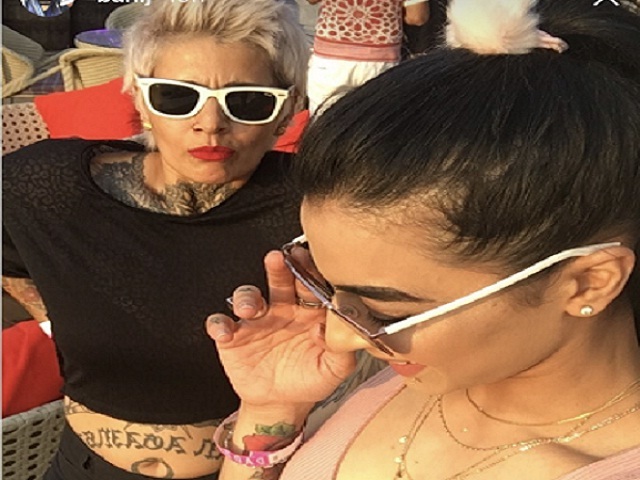 Bani J and Sapna Bhavnani are close friends and were present at Razzberry Rhinoceros’s FOMO festival where they moved closer o each other. Bani J Sapna Bhavnani, when asked about the picture, showed their ‘I don’t give a damn’ attitude toward the image. Bani J was rumored to have been breaking up with her boyfriend Yuvraj Thakur, but still, no official statement has come from anyone. Although the picture shows Bani and Sapna with their lips very closer to each other, they did it or not is still an issue. So is it a controversy or a real lip lock? Who knows? We are aware that something is surely about to happen.